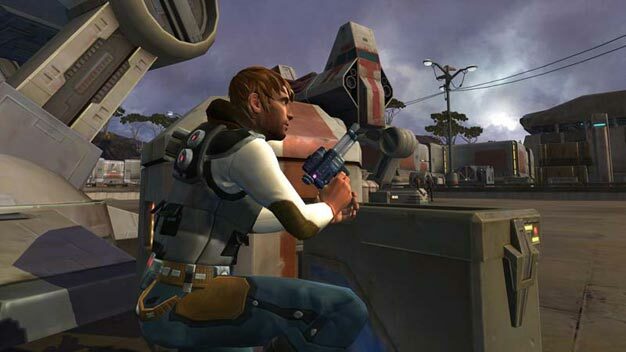 BioWare’s upcoming massively multiplayer online role-playing game Star Wars The Old Republic is a seriously ambitious title, but not everyone thinks it’s going to be all that popular. Speaking at the London Games Conference this week Bigpoint CEO Heiko Hubertz expressed much uncertainty surrounding the title. He said The Old Republic will never make a profit. Not for publisher Electronic Arts or developer BioWare. The title isn’t due out for a while, which leaves more than enough time for BioWare to drop its planned subscription business model, and instead adopt a free-to-play, pay-to-enhance model. Should they in fact share some of Hubertz’s concerns, that is.